Im not entirely convinced when someone tells me they don’t like Hydrangeas. Their endless colour options and ability to completely fill a vase with just a few stems has always made me fall in love with them a little more each year. They have been the one plant that I have never struggled to grow and even more importantly the one that I have always loved as a dry flower too. Last year was the first year I tried to dry Hydrangeas, by that I simply mean I had a vase of them that got forgotten about and they ended up drying themselves. The aim this year is to make my own Hydrangea wreath for the front door. Seeing as my garden is bursting with pink, blue and white hydrangeas I have decided to start drying as many as possible in preparation. Though they do look wonderful just as a dried flower sat in a vase. They tend to get dusty before they get dishevelled and I have had some that lasted me three years happily sat in a vase. So this is what I do to dry my hydrangeas. Cut them at the right time. 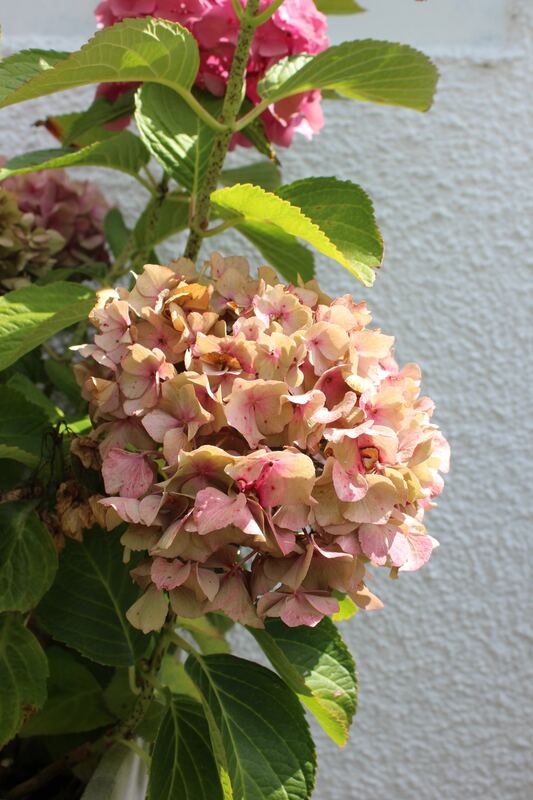 Its important that you cut the hydrangea when it has started to lose some of its colour. This tends to be around the middle of August onwards. 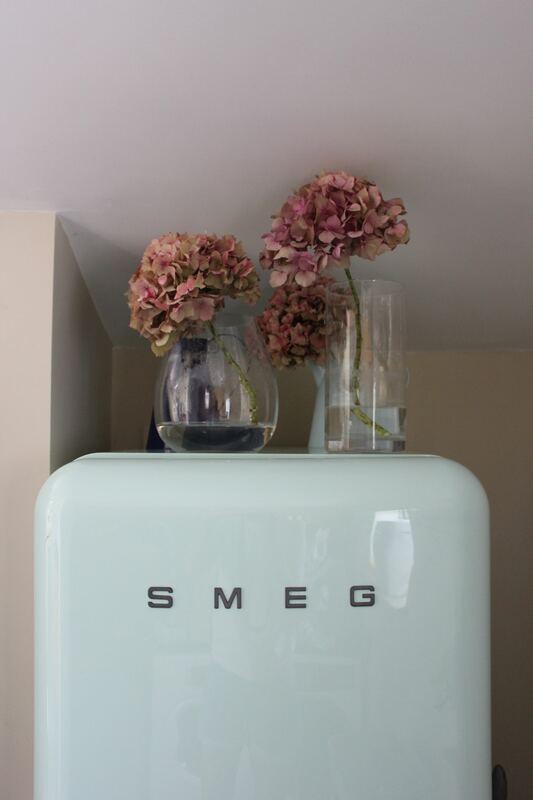 The petals start to have a vintage faded feel to them and may have even started to go brown. 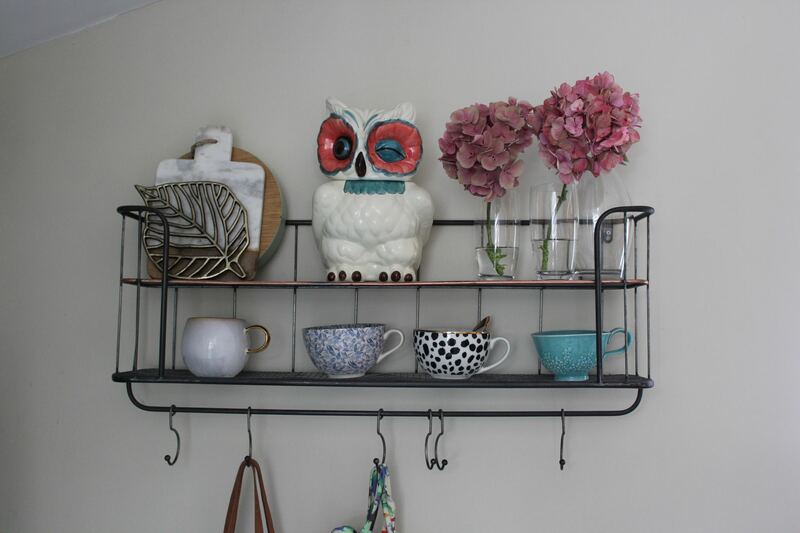 Don’t worry about any brown bits you can always trim them if they don’t look right when they are dried. If you cut them before this they will be holding too much water and will wilt rather than dry. Prep them for the vase. Make sure you cut them long enough to sit in a vase where air can circulate the whole flower head. Remove any leaves from the stems and try to cut the stem at a 45 degree angle. 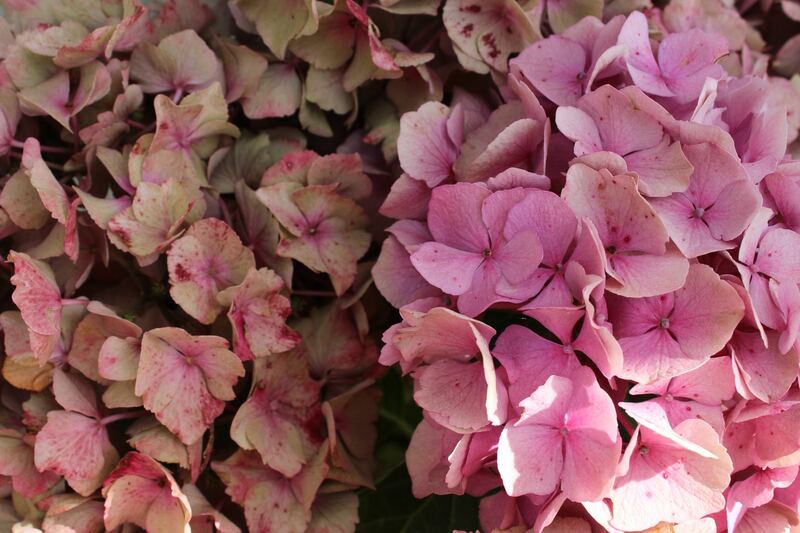 Pop them in a little bit of water (the flowers dry naturally on the plant and so they still need some water throughout the drying process) and leave them in a cool place away from direct sunlight. Keep checking the stems every few days. They should be ready in about two weeks however if they are not quite there you can top them up with a little more water. The beauty is you can display the flowers while they are drying and they just look amazing. I love the way the colours change over time. Come back in a few weeks for a blog post of how to make the wreath! 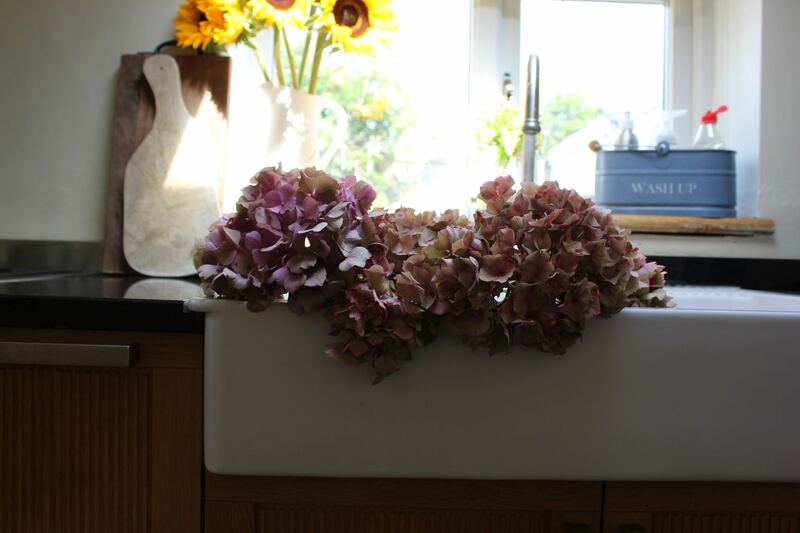 Let me know if you use a different method to dry your hydrangeas as I know there are many other ways out there! Thanks Ali! 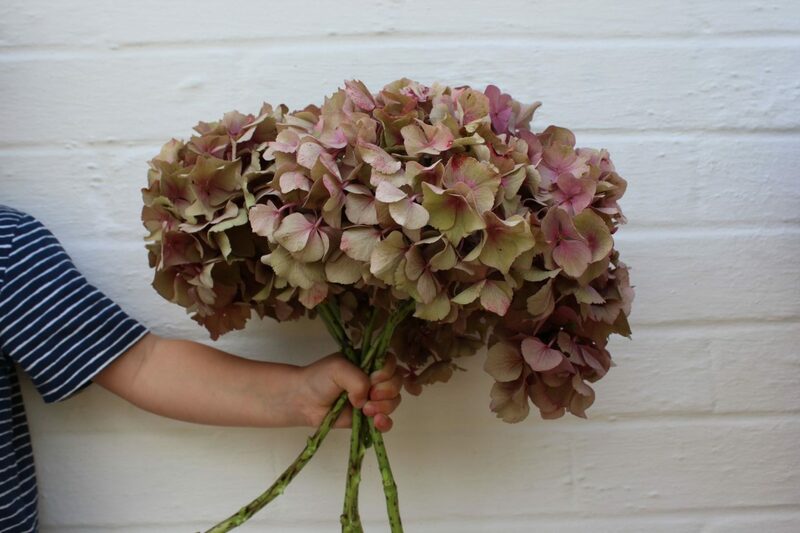 Hydrangeas wreaths are just amazing aren’t they!